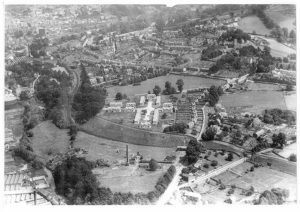 1935 aerial view of the Dudbridge Hill estate. 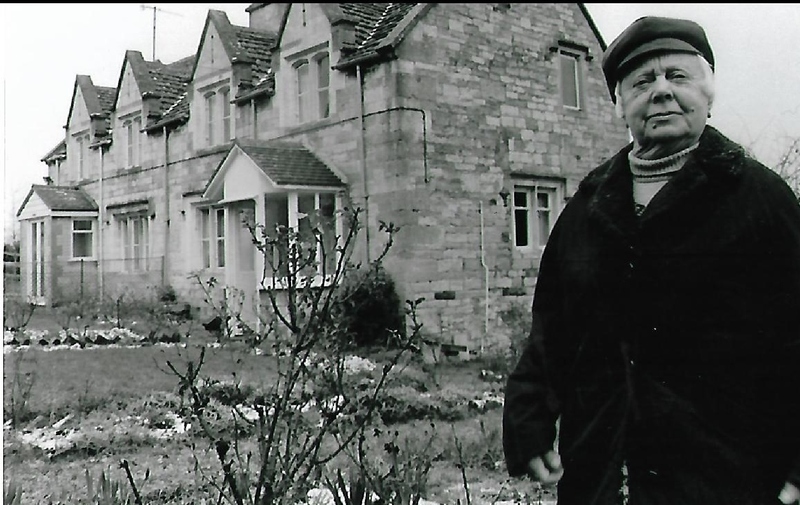 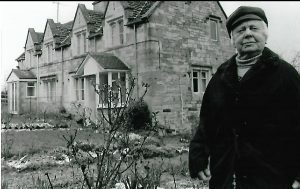 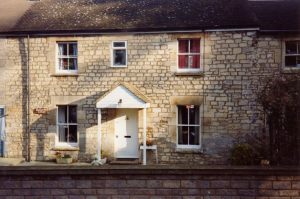 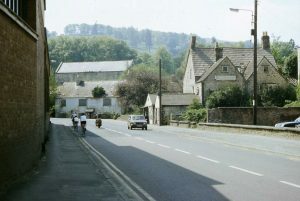 Dudbridge Hill. The Police car registration dates from 1987. 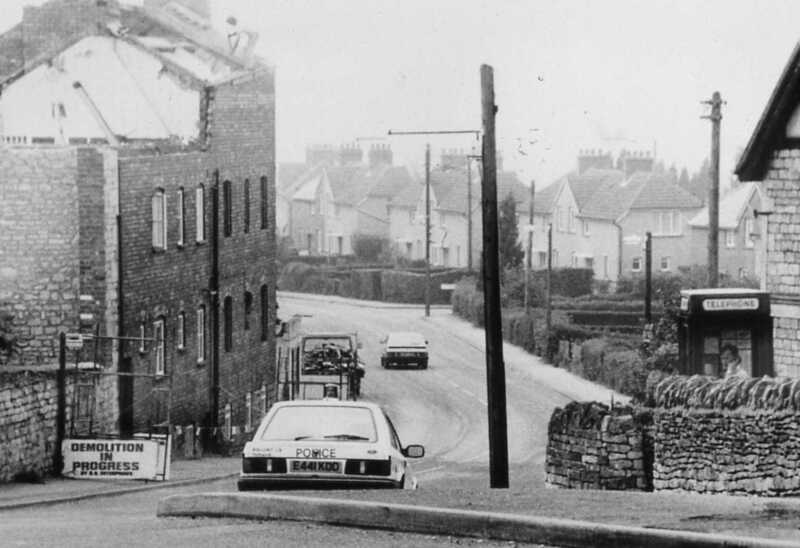 Also of note is the man on the roof and the apparent lack of any safety precautions! 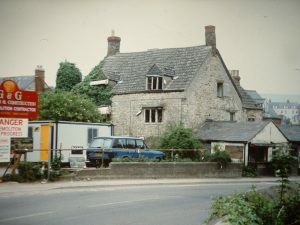 Probably late 1980s. 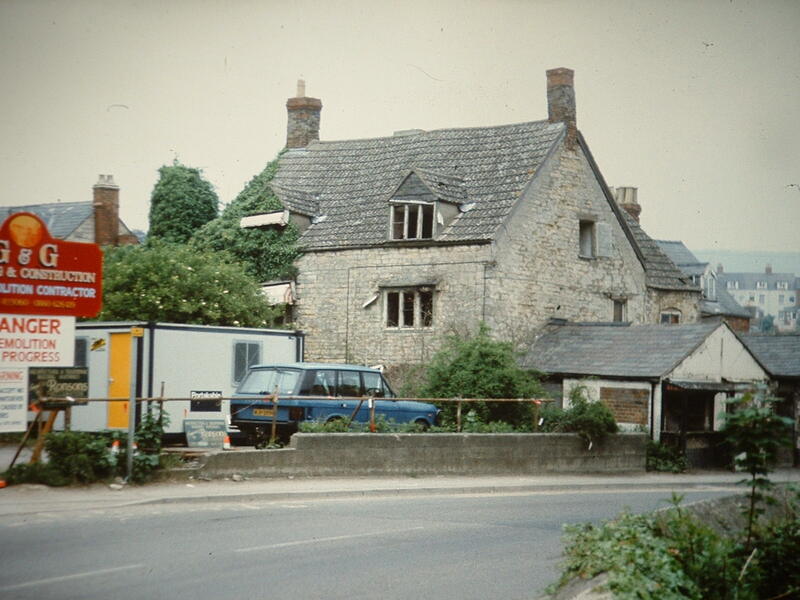 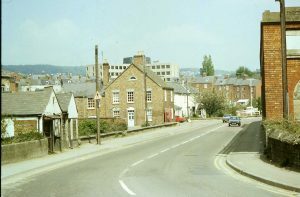 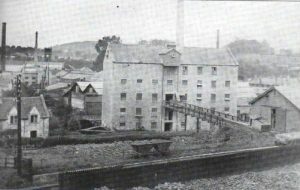 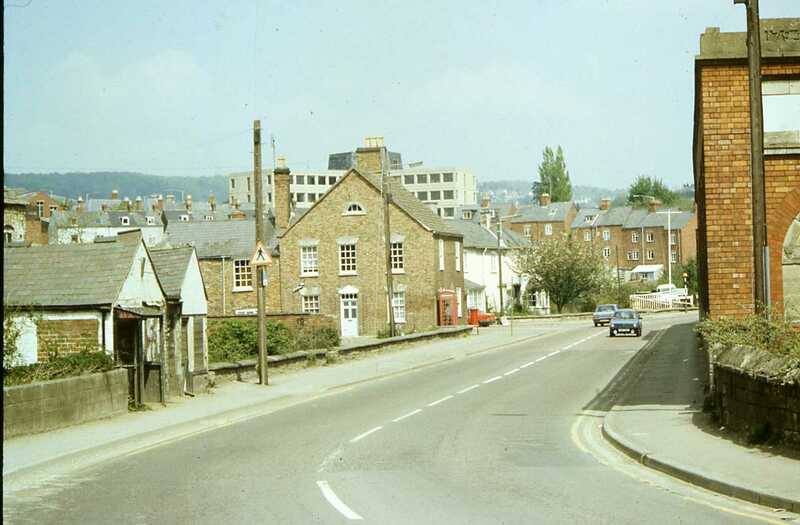 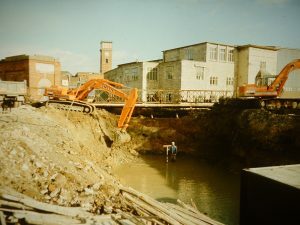 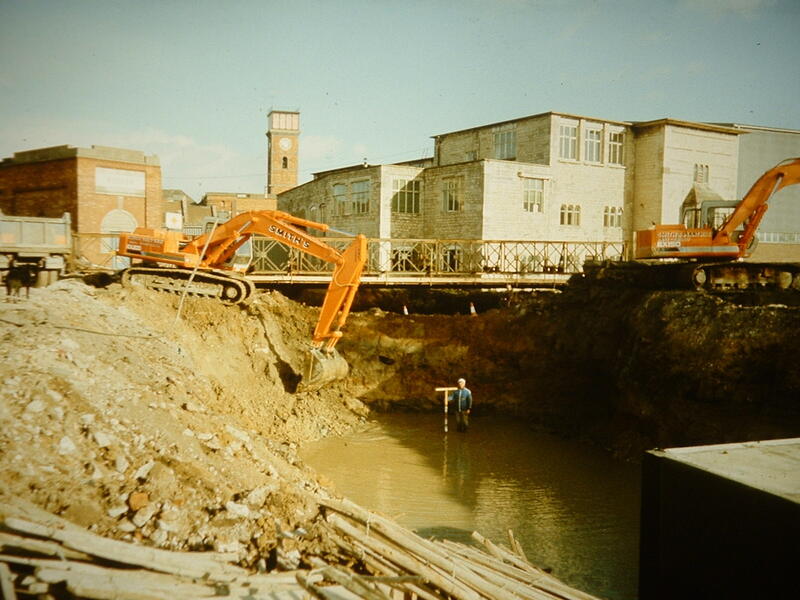 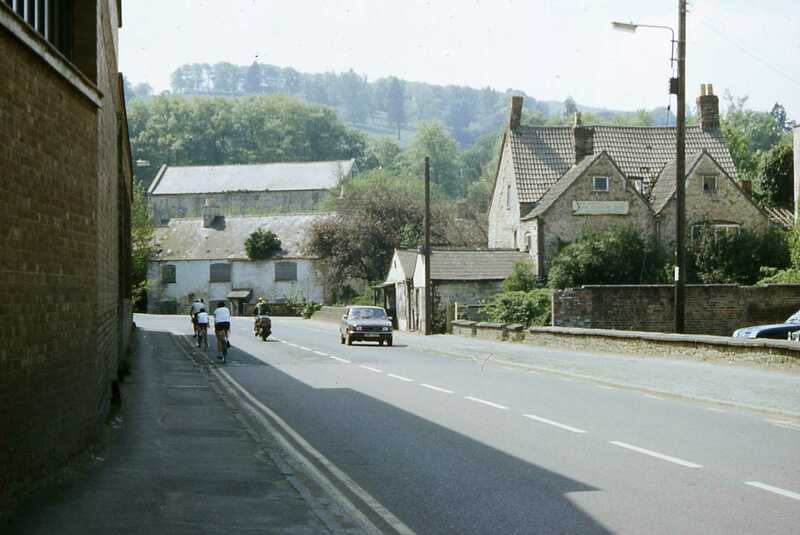 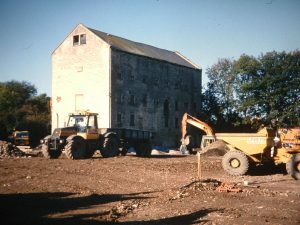 The white building was the former Bridge Inn, on the right had been Sandling’s basket makers and the smaller front buildings later a ‘corner shop’ run by the Peaceys. 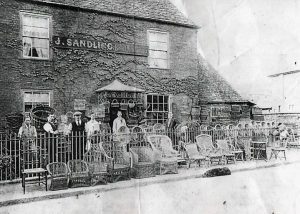 The former Sandling’s basket makers. 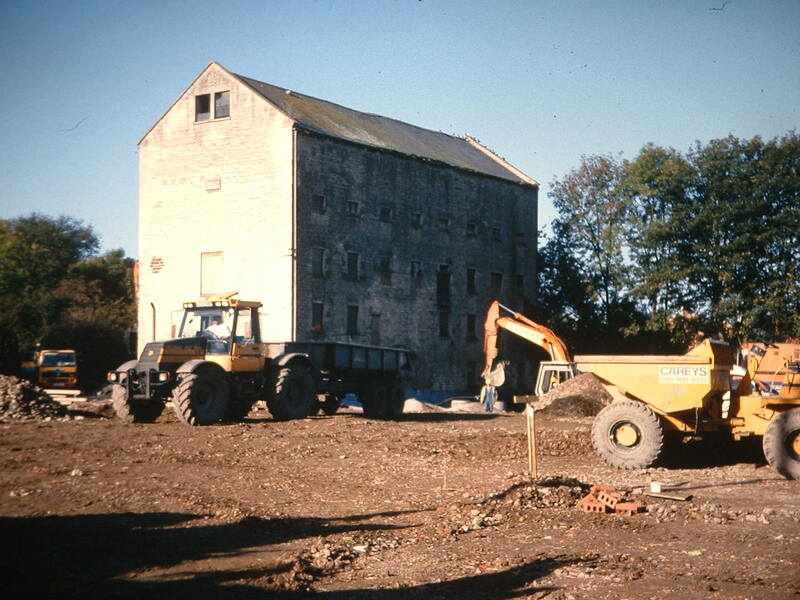 And in the middle of the Sainsbury’s site an elderly lady and a mill stood firm. 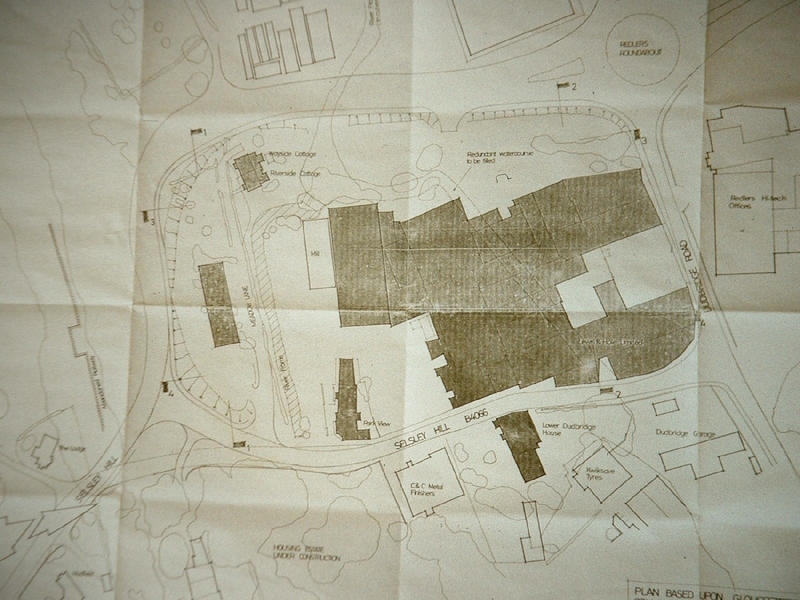 Plan of the proposed Sainsbury’s site.